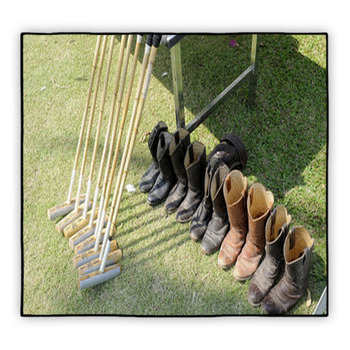 Our polo rugs will give your rec room a feeling of sportiness, yet also of refinement, wealth, and even danger. 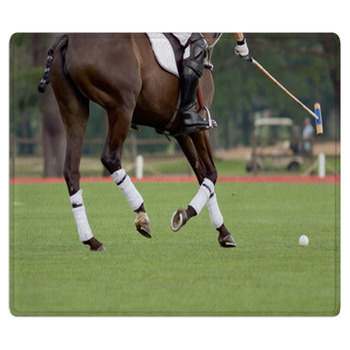 Select rugs that capture graceful horses in motion, skilled polo players in fierce competition, and the beautiful greenery of polo fields, all seen in exquisite professional photography. 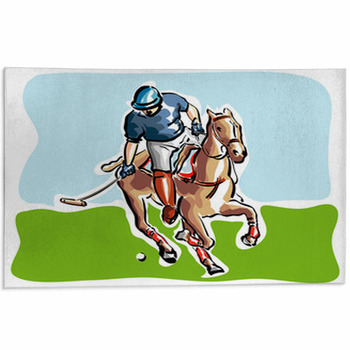 Then thrill your son with rugs for his bedroom that feature classic artwork of polo players in their dashing clothes. 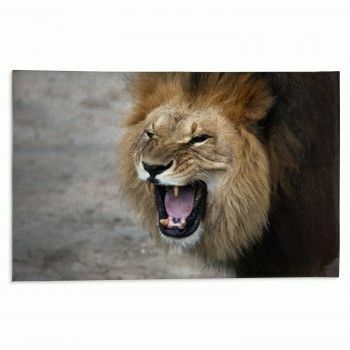 Let a gorgeous white stallion race across your garage floor on a carpet rug that pictures this beautiful beast galloping with red leg warmers wrapped above its hooves. 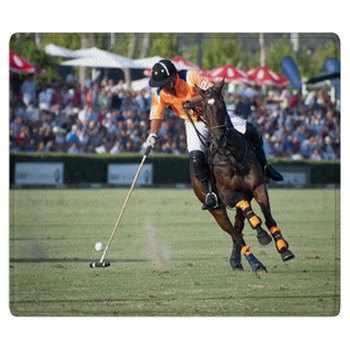 A rider dressed in dark blue and aqua is sitting atop the horse as he swings his polo mallet after a white ball flying through the air. 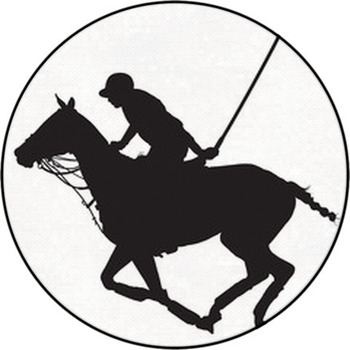 Another area rug displays the sleek fur of a dark chocolate brown horse seen racing over a grassy green polo field as the rider holds on tight. 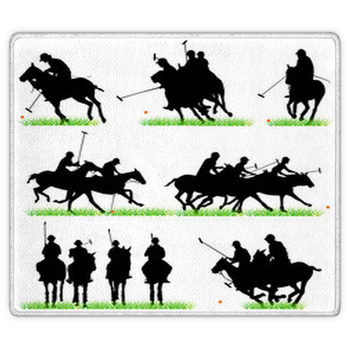 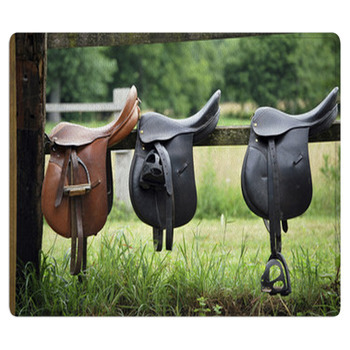 Give your teenage boy a taste of the grand history of polo with a floor mat for his room. 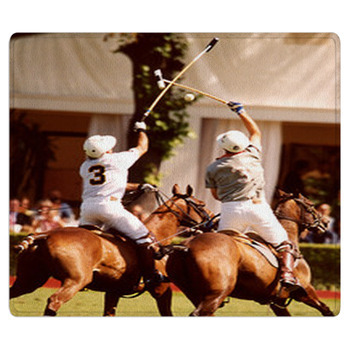 Select one of our many polo rug patterns that showcase fine illustrations, such as a pair of polo competitors shown from the rear as they ride brown horses and battle for control of the ball. 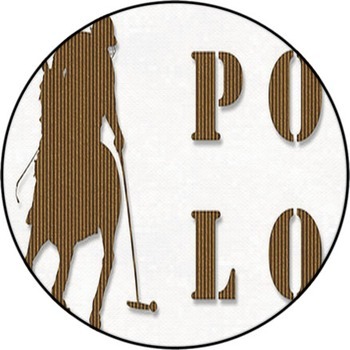 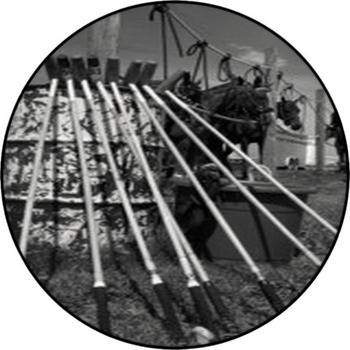 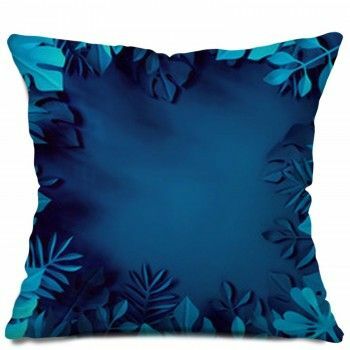 Pair that with a carpet rug that pictures eight horses depicted as black silhouettes, with the colorful polo riders atop them each performing a different maneuver. 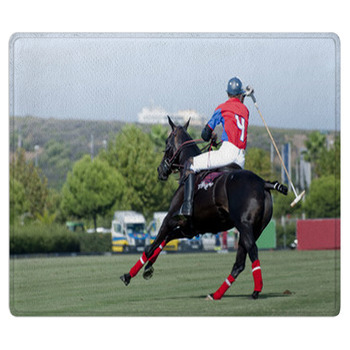 Kids are enticed by this royal game when they see our polo rugs that exhibit a red silhouetted polo player set over a complex scene of city buildings, abstract shapes rendered in gray, red arrows, and a rainbow made of orange and blue stripes. 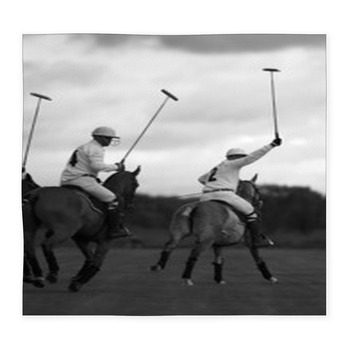 True aficionados of this classy sport also love our polo themed wall art and blankets.